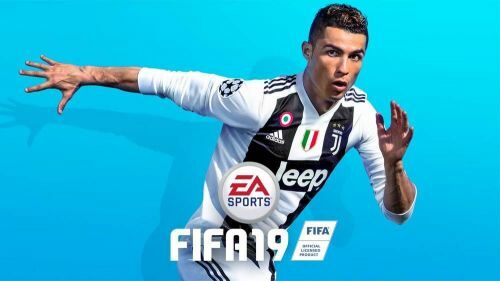 FIFA 19 demo is around the corner and EA Sports have released the details of the top 10 players. They have been recently releasing top 100 players in parts and now the time has come for them to release the final list. We are starting the list from top-ranked player to bottom since we all know who is the top rated player and there is no suspense. No surprise whatsoever. Cristiano Ronaldo has been in absolutely brutal form in the past 12 months and quite deservingly is one of the top dogs in the game. With his brilliant pace and shooting stats, his towering headers, and his 5-star weak foot, expect him to destroy the opposition centre backs. After a couple of years being the second best, Lionel Messi pulls himself back up again to tie with his nemesis, Ronaldo. His dribbling stats are insane. With a low centre of gravity and really impressive dribbling stats, expect Messi to create some easy space in the final third of the pitch by making a mockery out of the opposition defenders. The Brazilian maestro is the top-rated LW in the game. 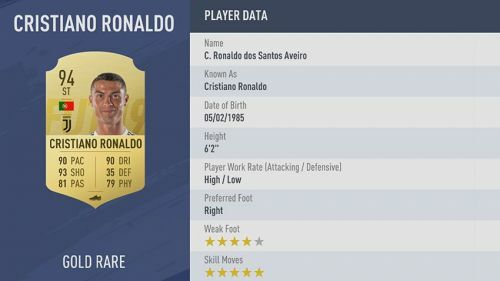 His insane speed, brilliant dribbling, and 5-star skill moves mean he can be a menace wide down the pitch and with his 5-star weak foot ability, expect him to have a shot from every possible angle on the ground. Modric had one of the best years. He won the Champions league and entered the world cup final. 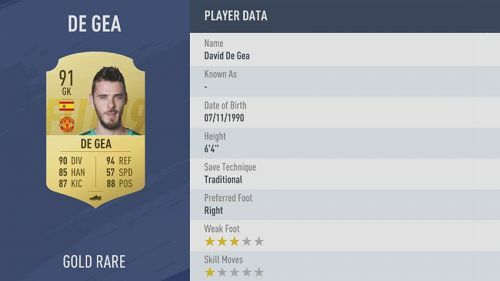 He was awarded the footballer of the year award recently and a 91 rating in FIFA is something he truly deserves. His work rate is something that will be a headache for his opponents in all parts of the pitch. His passing and through balls can pierce any opposition defence. The Belgian midfielder had an excellent year, helping his nation reach the semi-finals of the world cup and his club to win the English Premier League. 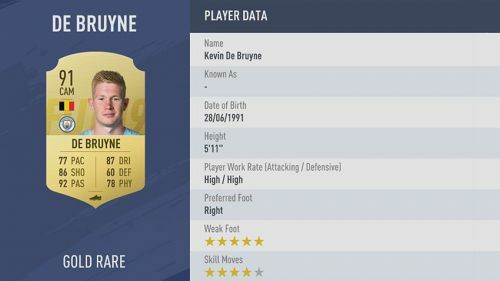 With a passing stat better than Modric, impressive shooting and dribbling stats, and a 5-star weak foot rating, De Bruyne is not the kind of player you want to play against. Yet another top-class Belgian in the Premier League made into the top 10 list. Hazard has that something that De Bruyne lacks - the pace. He is incredibly quick down the wings and his outstanding dribbling can cause serious havoc at the wings. Ramos was the best centre back in FIFA 18. With the season he had, there is no wonder that he had retained his position at the top. His astonishing defending stat complemented by high physical stat and good pace means most strikers would find it tough to get past him while running for a ball. Even though the Uruguayan star striker lags behind Cristiano Ronaldo in most aspects, he has a significant lead in one parameter - physical stat. It would be tough for even Sergio Ramos to hold him back and push him off the ball when Suarez has the control. His shooting stat is something that needs no mention. He has been a clinical finisher in the past iterations of the game and would continue to be so. To conclude this list, we have the German sniper, who just fell below his Madrid team-mate Luka Modric. Kroos can play some of the most precise passes in the game and with a more than decent shooting stat, he can be a real threat to his opponent's goal, just like in real life.